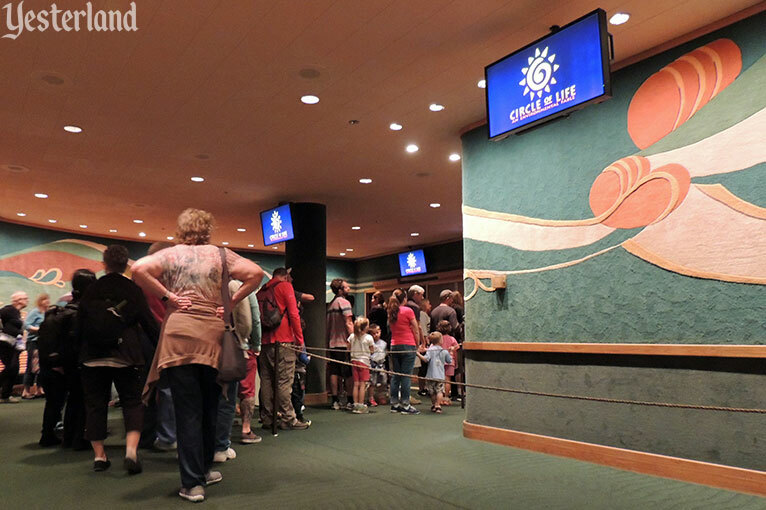 There can be long waits for some of the attractions in this pavilion—but not this one. 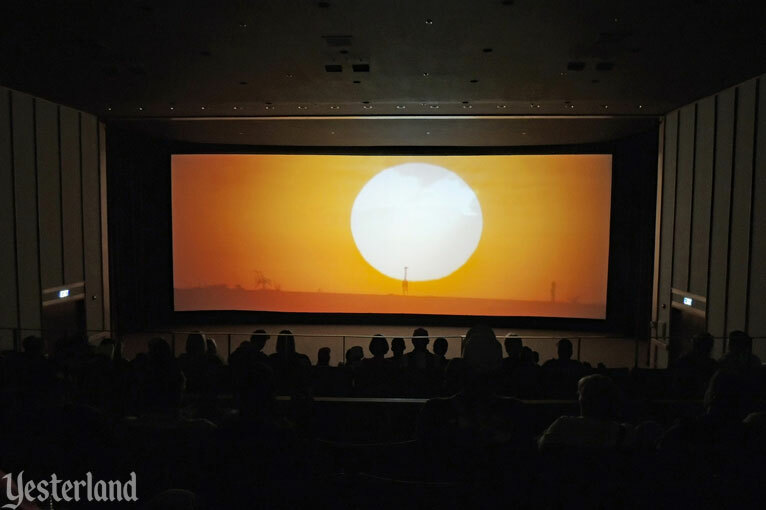 It’s a 13-minute movie with just a few minutes between showings, so even if you just missed a show, you won’t have to wait long for the next one. 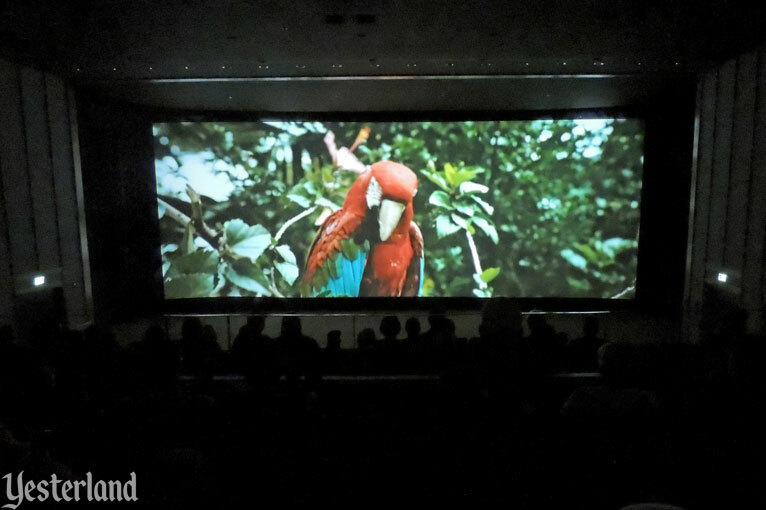 The movie starts off with gorgeous nature footage accompanied by the gorgeous song “The Circle of Life” from The Lion King. But that’s just setting the stage for a feel-bad story of environmental despair, followed by a feel-good story of environmental hope. There’s some animation, but mostly live-action. Who knew that Timon and Pumbaa were real estate developers? 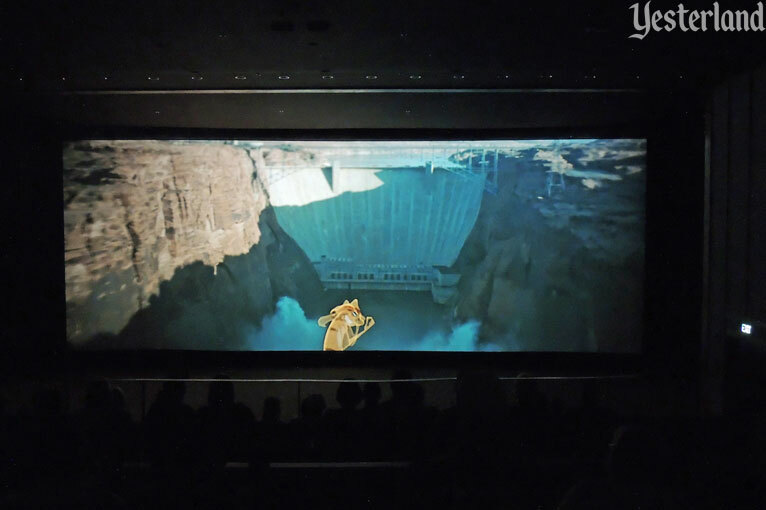 This movie tells the story of when they had ambitious plans to build Hakuna Matata Lakeside Village. 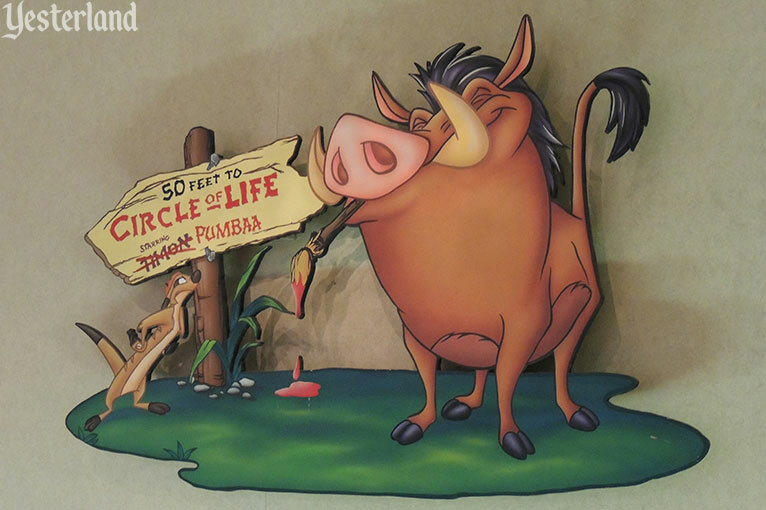 Pumbaa has long had the ability to “clear the savanna after every meal,” but this time clearing the savanna means destroying the environment by preventing the natural flow of water. Simba, who has become the King of the Pridelands by the time this movie takes place, is alarmed. Dry streambeds cross a parched savanna in the valley below. “You mean perfect, hot, ripped, and buff?” asks Timon. “Ah, no,” says Simba. 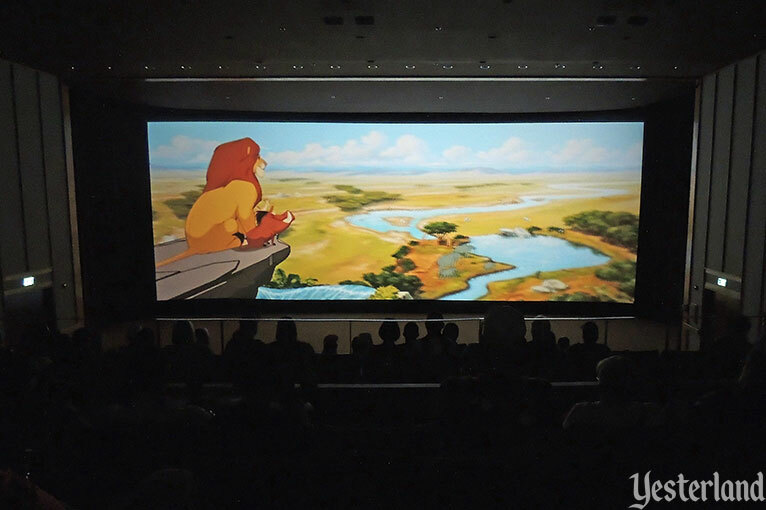 “I mean a creature who sometimes forgets how everything is connected in the great Circle of Life.” Simba tells a cautionary tale about humans. Simba’s message finally gets through to Pumbaa and Timon. 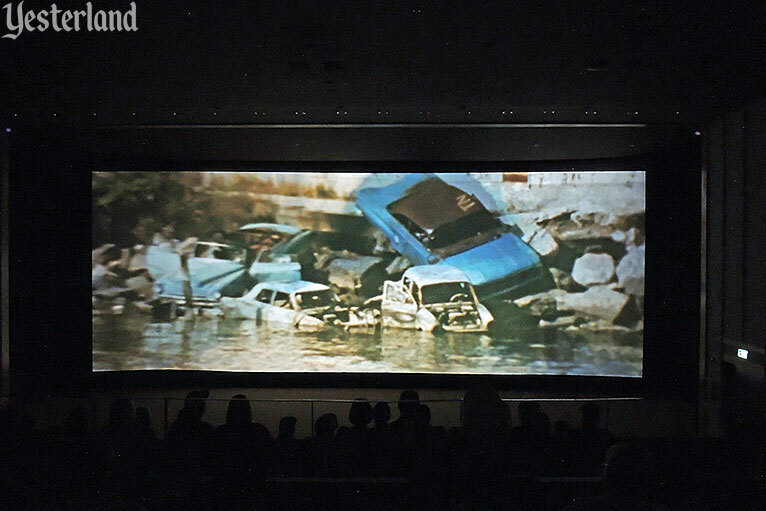 They destroy their dam. Nature reclaims the savanna. 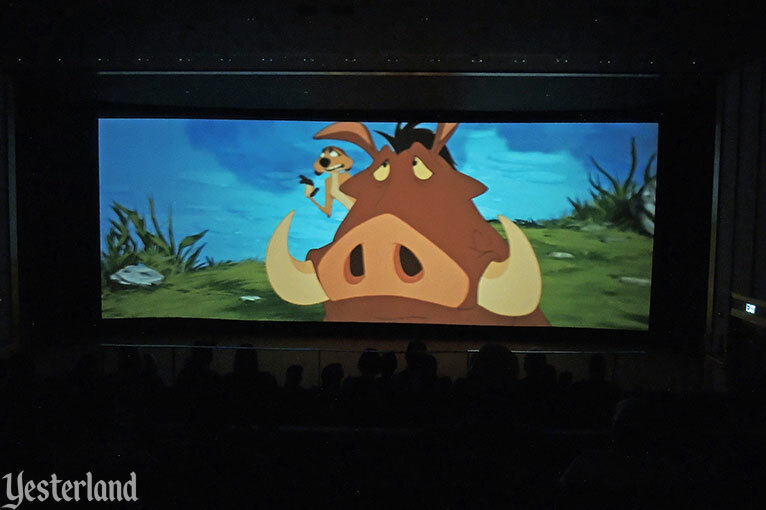 Pumbaa and Timon have learned a valuable lesson—and perhaps the audience has too. 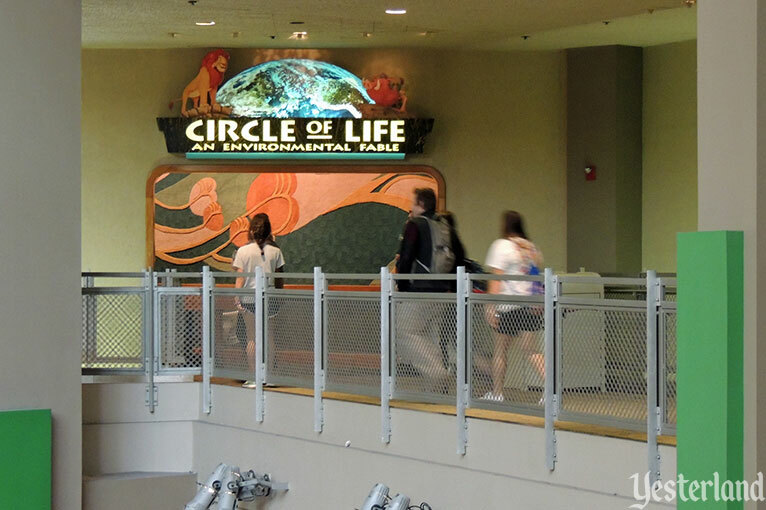 Circle of Life: an Environmental Fable opened January 21, 1995, and closed February 3, 2018. Kraft Foods sponsored The Land from 1982 to 1992. Nestlé USA took over from 1993 to 2009. With the new sponsor came updated attractions. 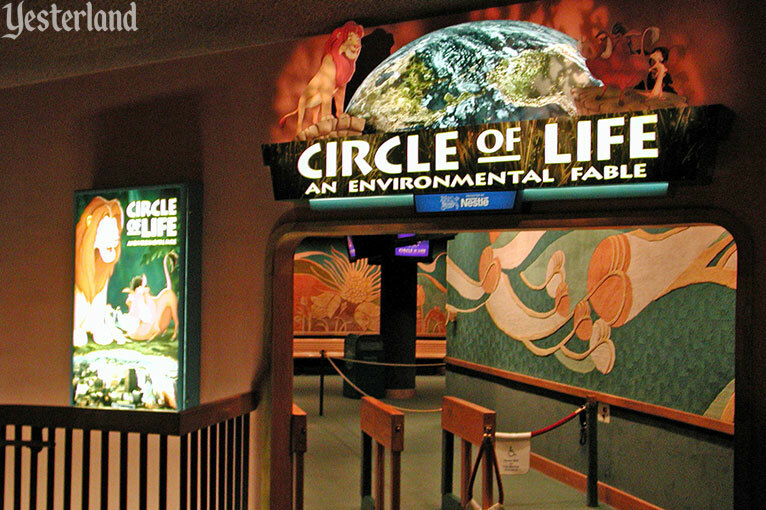 Circle of Life replaced Symbiosis, a serious movie about “the delicate balance between technological progress and environmental integrity.” Symbiosis had opened with EPCOT Center on October 1, 1982, and had played until January 1, 1995, well after Nestlé USA came on board. Circle of Life reused some footage from Symbiosis. With its popular animated stars, the context was more fun for children. 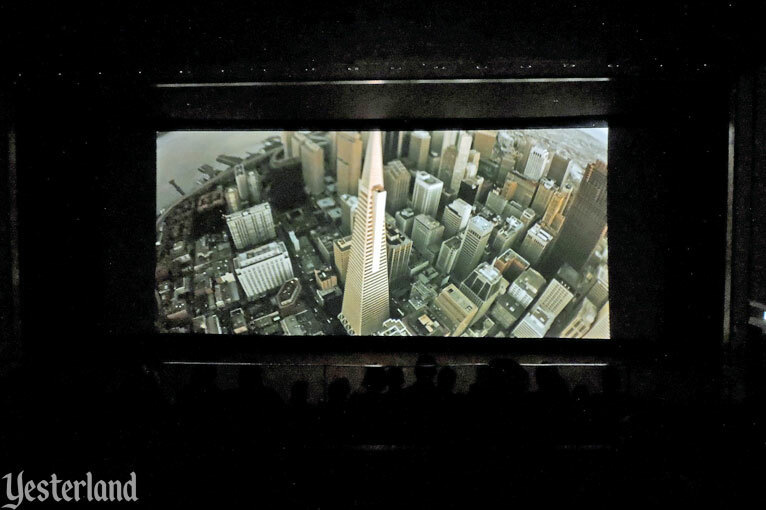 Actually, it was more fun for anyone who did not come to a theme park for a serious educational movie. 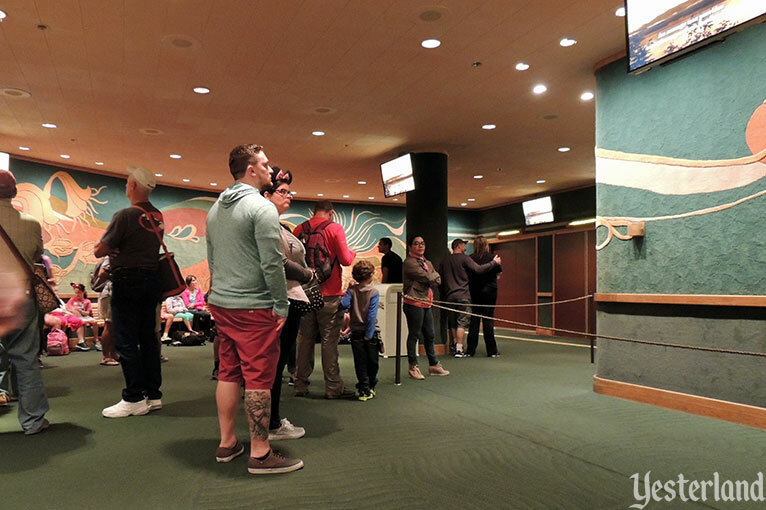 Unfortunately, as is usually the case with movies, especially those without gimmicks such as “4D” effects, the attraction lacked repeatability. 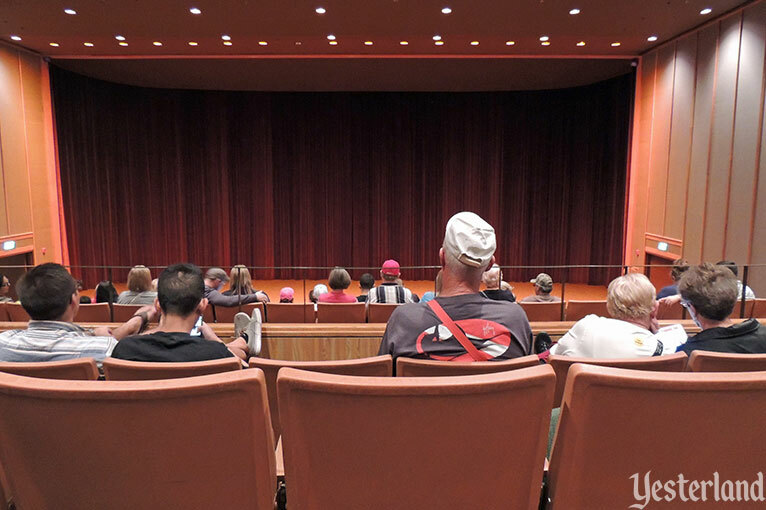 When Epcot needed a new space for Disney Performing Arts student workshops and performances, it made sense to repurpose the theater. Disney could easily bring back Circle of Life. 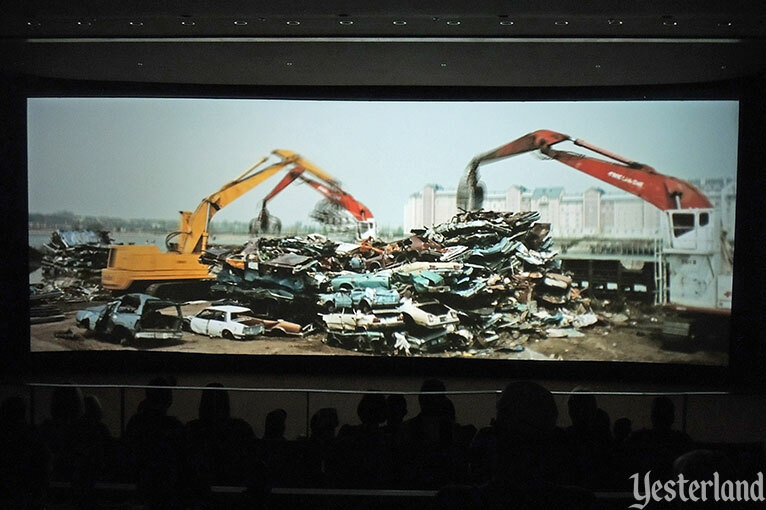 It would take little more than putting back the signs, restarting the pre-show, and firing up the projector. But that seems highly unlikely. 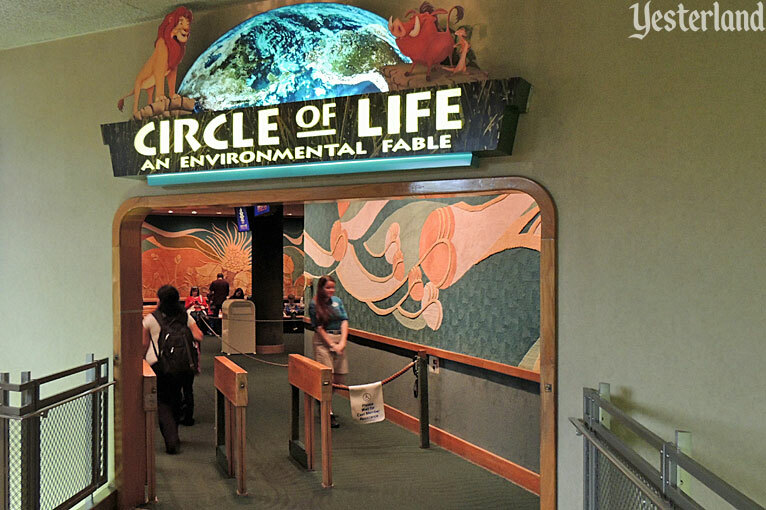 Circle of Life: an Environmental Fable had a long run—slightly more than 23 years in the same movie theater. How many other movies can make that claim?